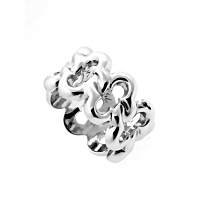 This designer Van Cleef & Arpels ring is crafted in white gold and features an interlocking Alhambra design. With the repeating pattern that makes up this eternity-style band, the symbols are always displayed boldly on your finger. 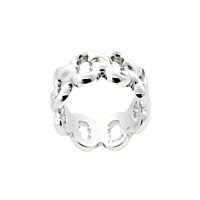 The high polish shine and wide band give this ring a sleek and modern look that is ideal for everyday wear.